NYC singer Stephanie Lamprea presents a matinee performance of 14 Recitations by Georges Aperghis. ​Last year, Stephanie founded unbridled, a new music ensemble dedicated to the cultivation of new art through commissioning, collaborating, and improvising. 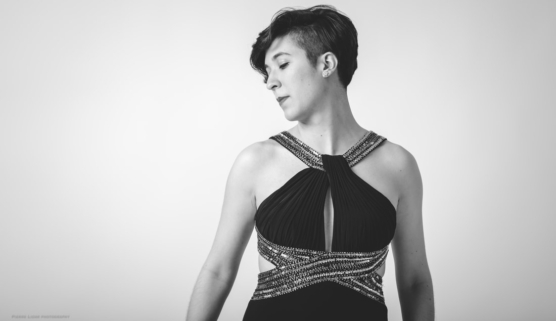 unbridled has performed works of David Lang, Ashkan Behzadi, Meredith Monk, and Icli Zitella, and in 2018 will commission a new work by Emily Praetorius in a concert also featuring works by Morton Feldman and Kaija Saariaho, interposed with improvisatory reactions. Récitations (1977-78) is an ambitious 14-movement work for solo female voice. It combines a wide range of notes and interruptions of extended techniques technique (including operatic singing, speaking, sputters and screams), auto -repetition and dysfunction. The form falls in and out of structure, uses the French language in a very loose way which tears linguistic meaning and finds inner musical character for the performer and listeners.